The United Nations Youth Advocate Program International 4000 Albermarle St. NW, Suite 401 Washington DC, 10016, USA www.yapi.org. 5 ◘To establish and support the international system. ◘To provide legal rules to resolve multi-national disputes. ◘To help maintain peace internationally. 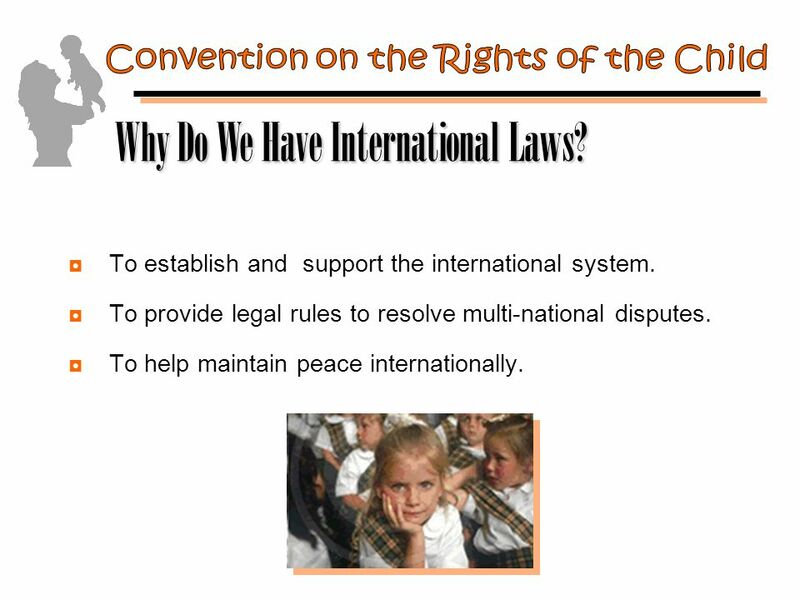 Why Do We Have International Laws? 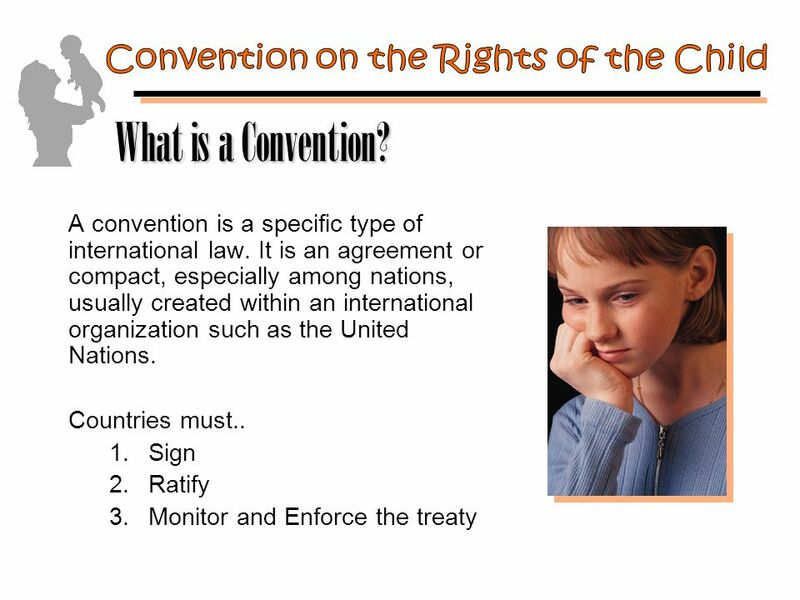 6 A convention is a specific type of international law. It is an agreement or compact, especially among nations, usually created within an international organization such as the United Nations. 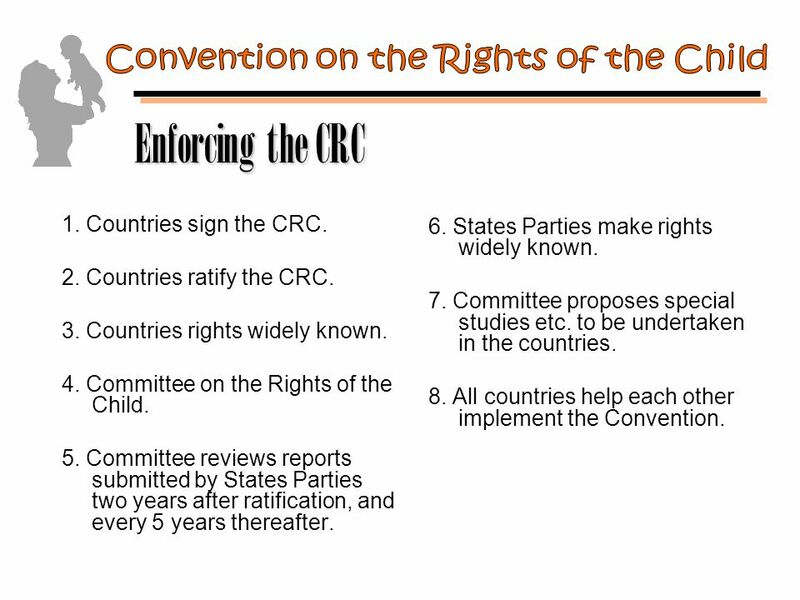 Countries must.. 1.Sign 2.Ratify 3.Monitor and Enforce the treaty What is a Convention? 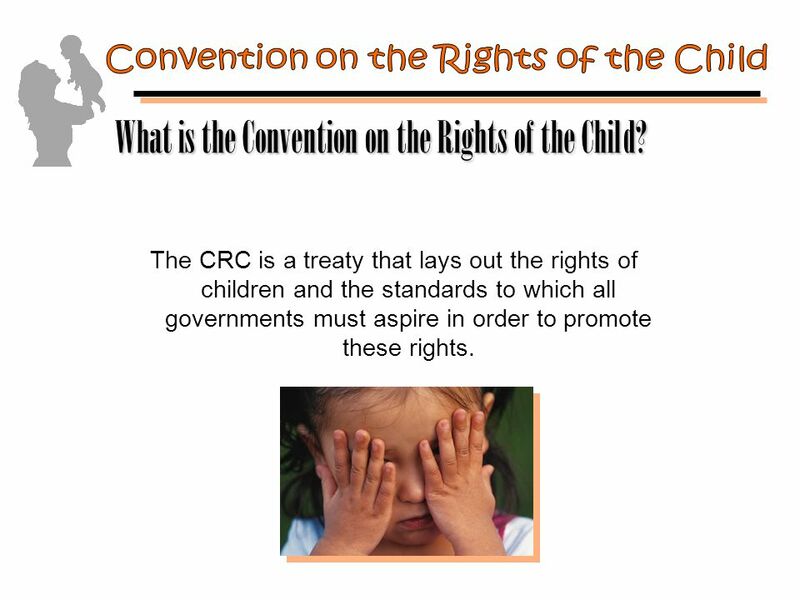 7 The CRC is a treaty that lays out the rights of children and the standards to which all governments must aspire in order to promote these rights. 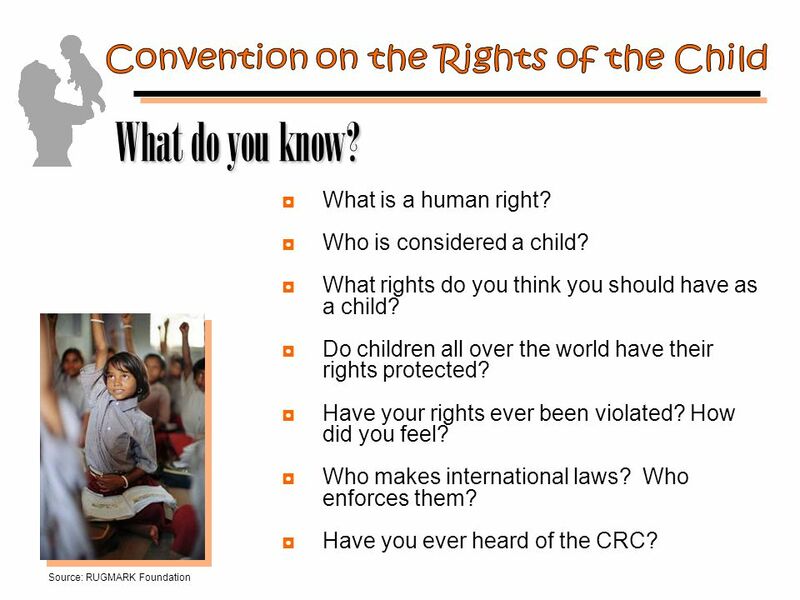 What is the Convention on the Rights of the Child? 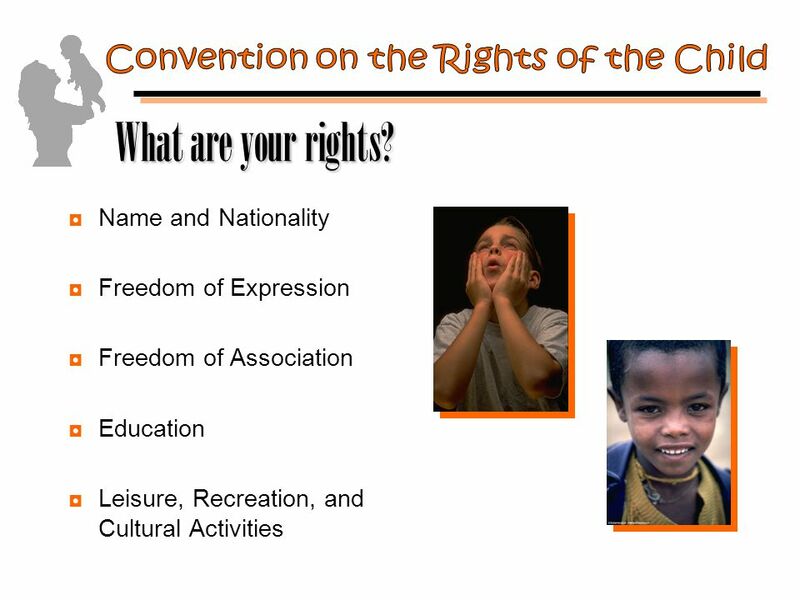 9 ◘Name and Nationality ◘Freedom of Expression ◘Freedom of Association ◘Education ◘Leisure, Recreation, and Cultural Activities What are your rights? 12 ◘The US is not in compliance with the treaty. ◘Fear of infringement on states’ rights. ◘Fear of interference in parental child rearing. 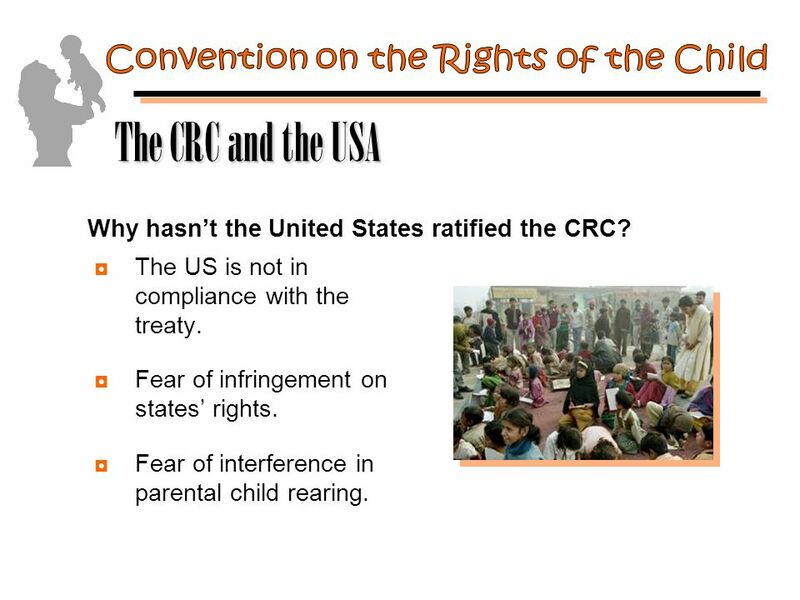 The CRC and the USA Why hasn’t the United States ratified the CRC? 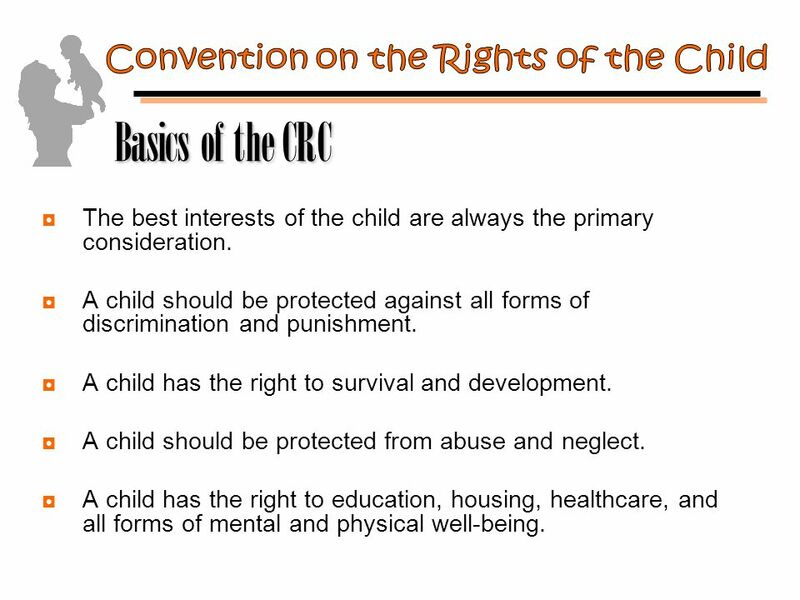 15 ◘ Educate yourself about the CRC. 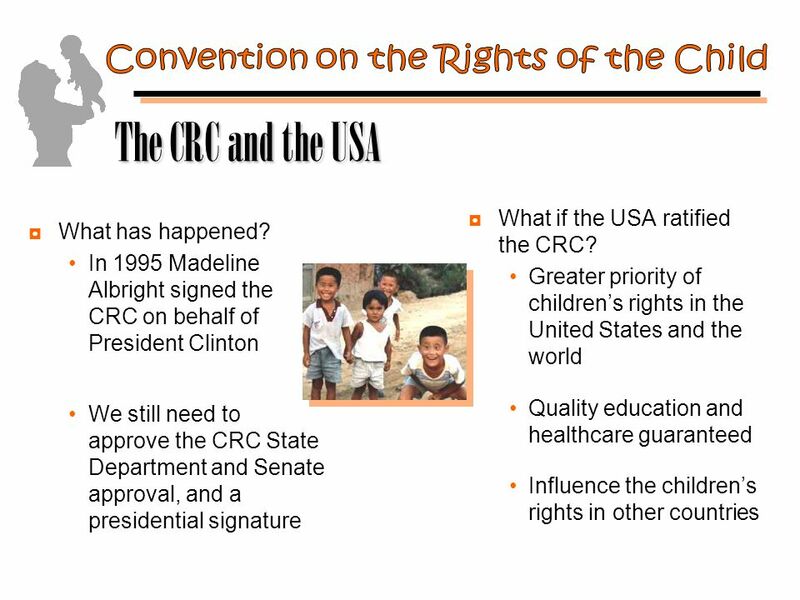 ◘ Contact local, state, and national politicians Write letters asking them to ratify the CRC. 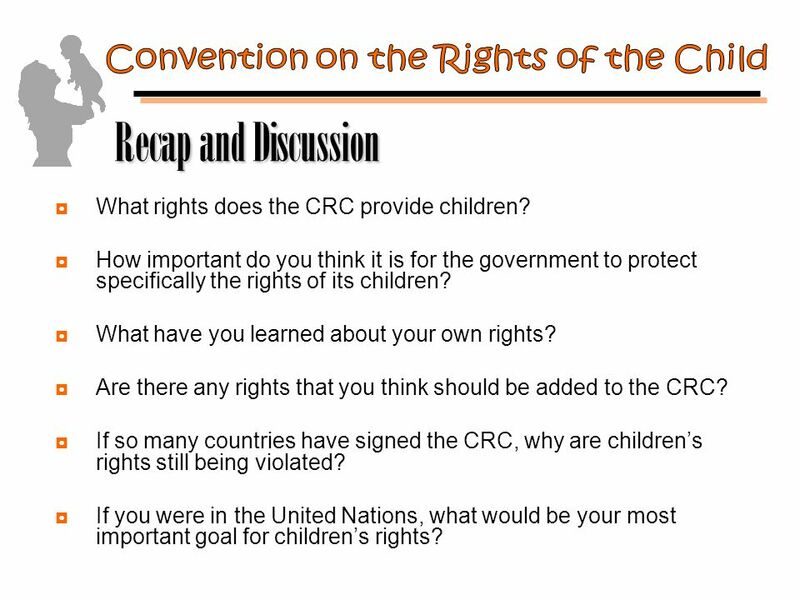 ◘ Talk to your parents about the CRC. Educate the adults in your life! 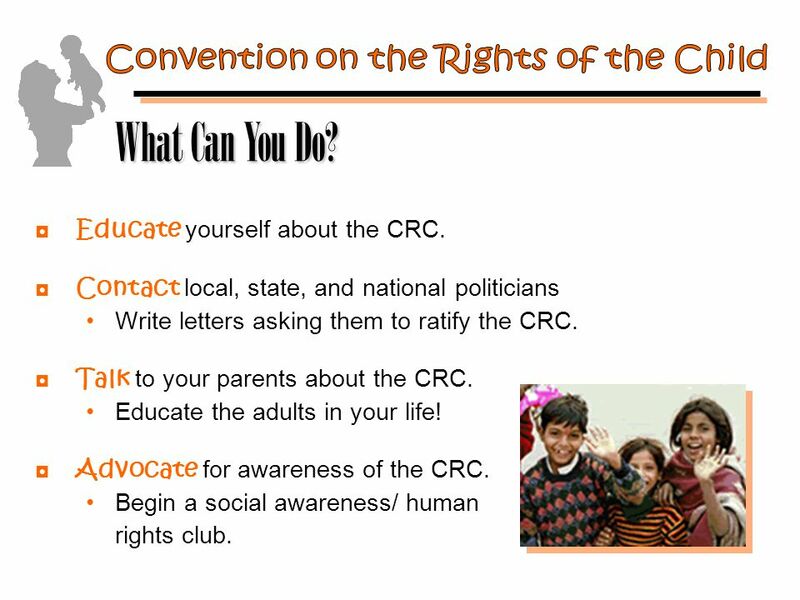 ◘ Advocate for awareness of the CRC. 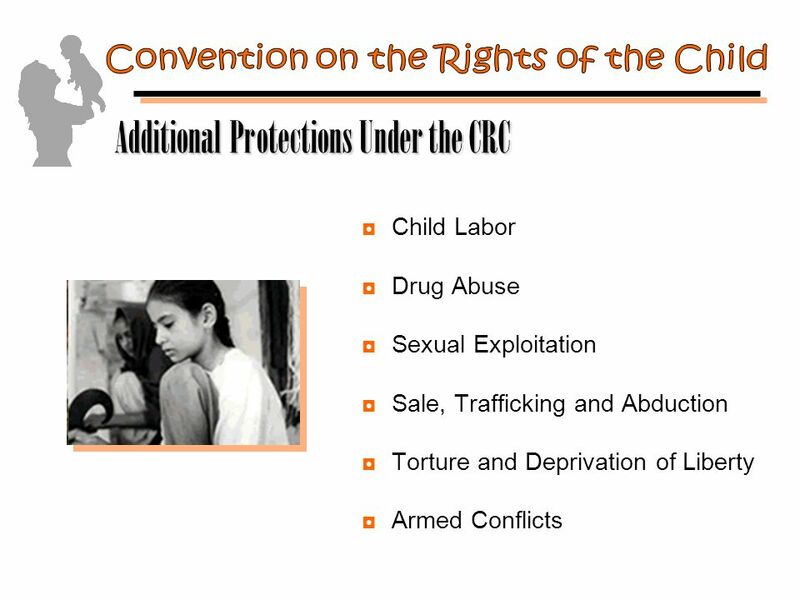 Begin a social awareness/ human rights club. What Can You Do? 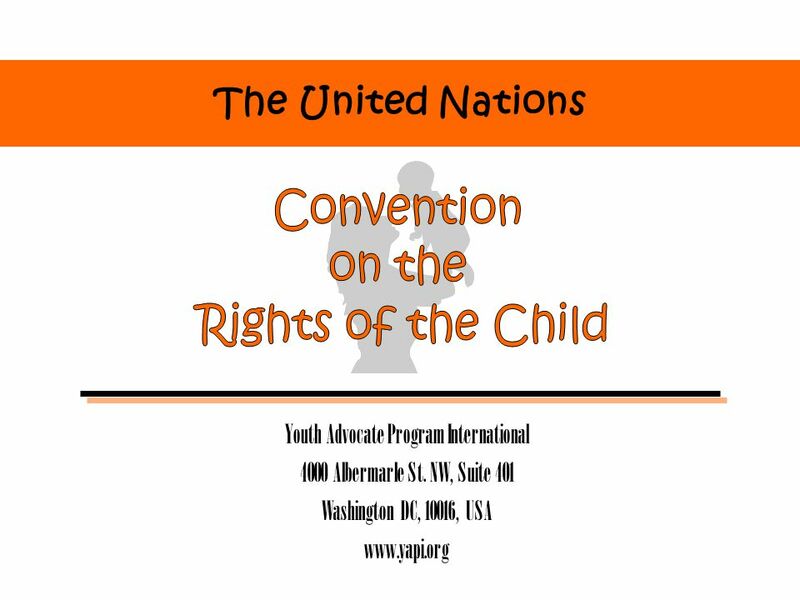 Download ppt "The United Nations Youth Advocate Program International 4000 Albermarle St. NW, Suite 401 Washington DC, 10016, USA www.yapi.org." Monika Luik Tallinn, Eesti 2003 Excursion into Child Protection Issues in Estonia from the Perspective of WGCC Priorities. 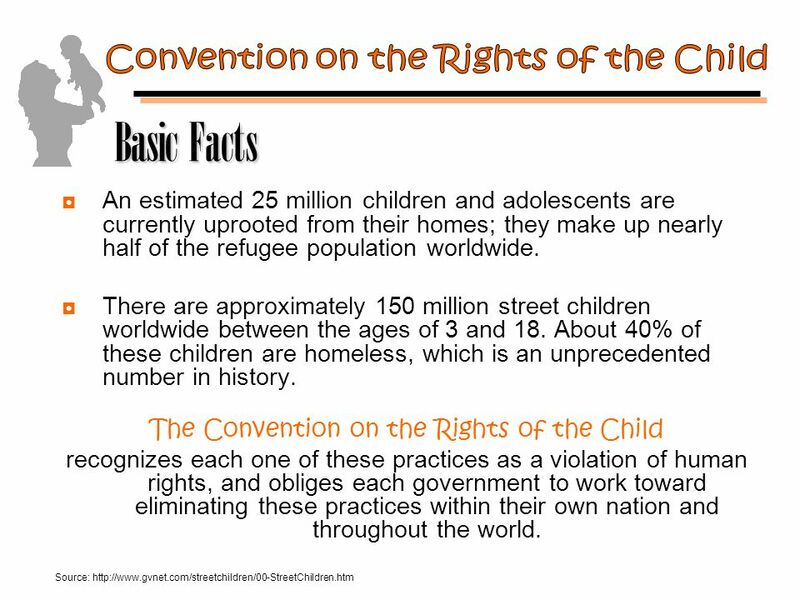 United Nations Convention On The Rights Of The Child SEN My Changing World. About NASUWT NASUWT is the largest trade union representing 285,000 teachers and headteachers in the UK. The Union is led by the General Secretary Chris. Joost Kooijmans Office of the Special Representative of the Secretary- General on Violence against Children Promoting follow-up to the UN Study on Violence. GETTING IT RIGHT FOR THE CHILDREN OF WALES 25 th Anniversary of the United Nations Convention on the Rights of the Child Dr Anne Crowley Associate, CASCADE. 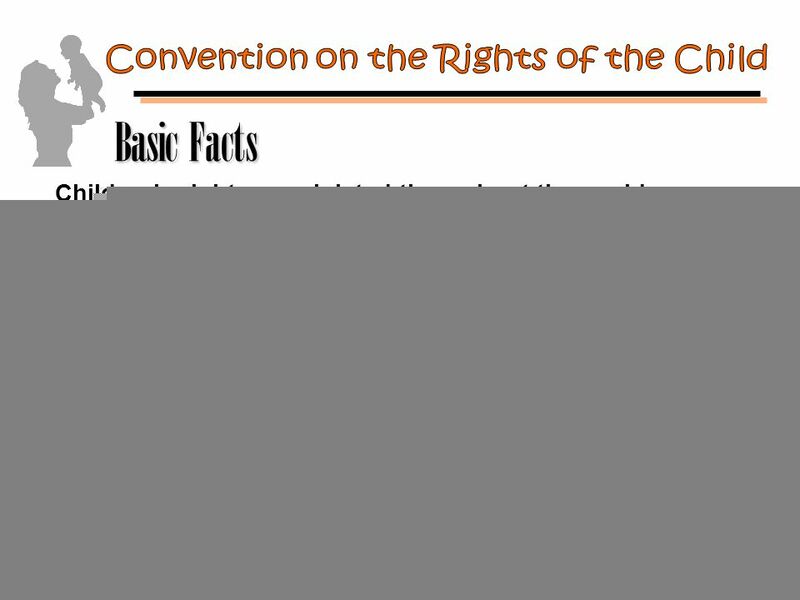 1 Referencing Data to Policy, Law And Human Rights Conventions. © 2006 Right to Work Federal Ministry for Foreign Affairs of Austria. 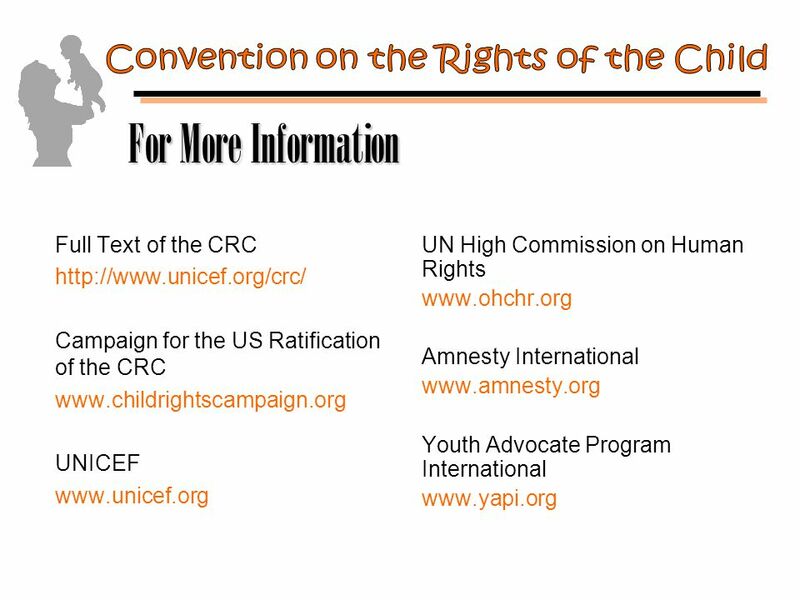 Global Leaders Chicago Metropolitan Association for the Education of Young Children Project Goal Elevate the Articles of the UN Convention on the Rights.